In preparation for the opening of Taco Bell's first South Coast store in Southampton, UK, they're giving people a chance to win a year's supply of tacos and an invitation to the VIP Launch Party on Monday 21st October. What do you have to do to win this great prize? Find the #GoldenTaco hiding somewhere in the city and whoever does will win these fantastic gifts. I can't give you any clues I'm afraid, so get your search on. Who else is excited for the Taco Bell opening? I certainly am! Follow Taco Bell UK on Twitter, Facebook and Instagram to see any updates. Follow me on Facebook and Twitter to see my posts as soon as they're published. 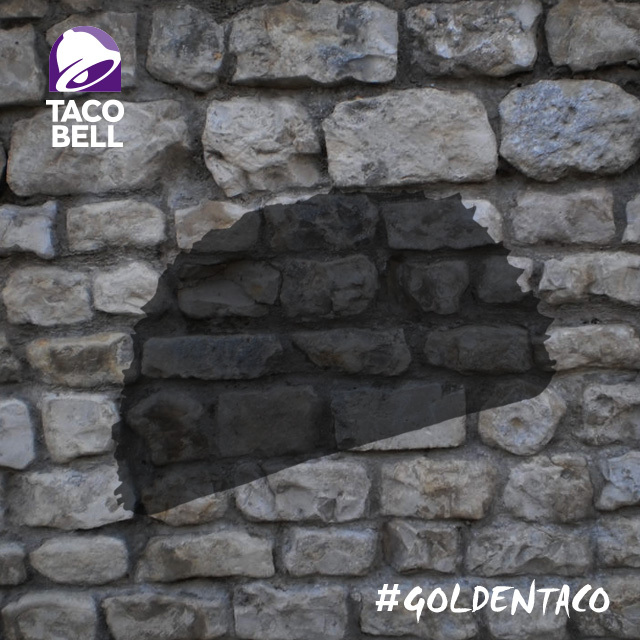 Good luck finding that #GoldenTaco!